A short trip to Eastleigh following the almost complete melt of the snow. 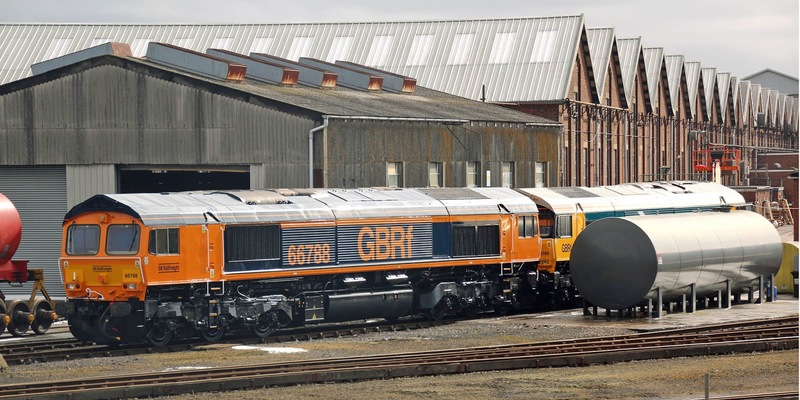 66788 (66238) and the newly painted 66789 (66250) in BR Large Logo tribute colours. 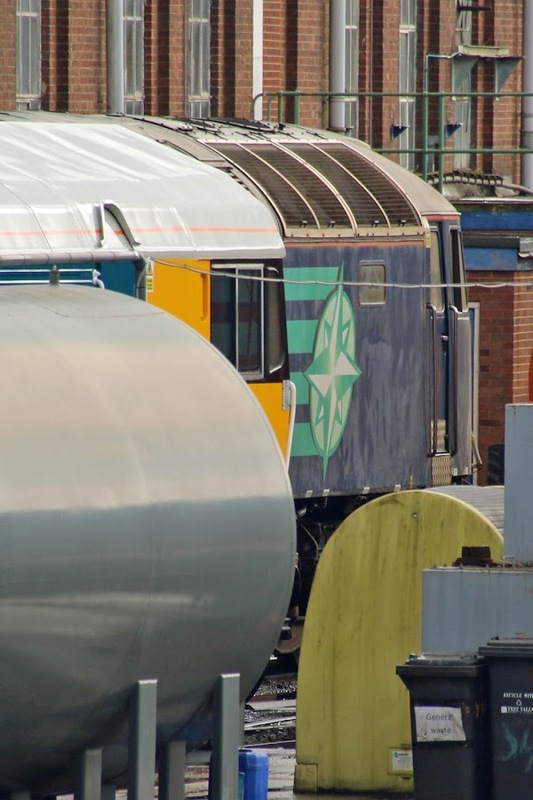 Unfortunately 66789 was obscured by the fuel tank, but the British Rail 1948 - 1997 plate can be seen. 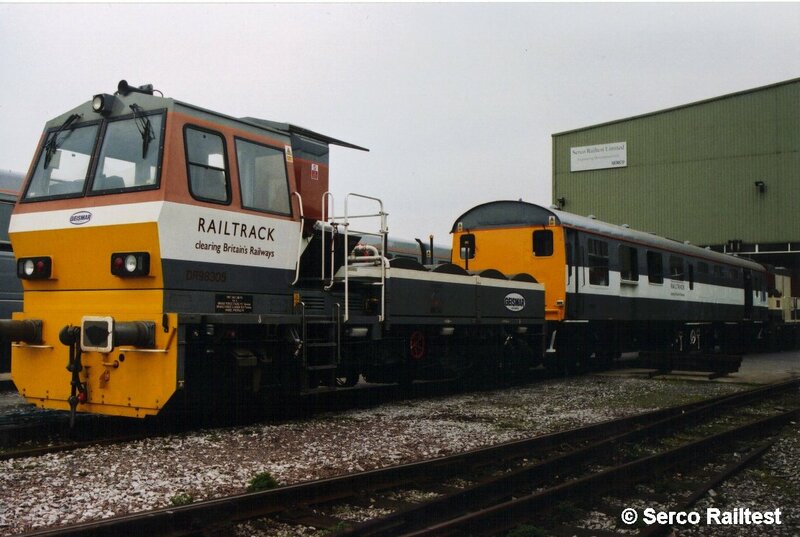 DR98305 with DR98306 beyond await their disposal by Raxstar. 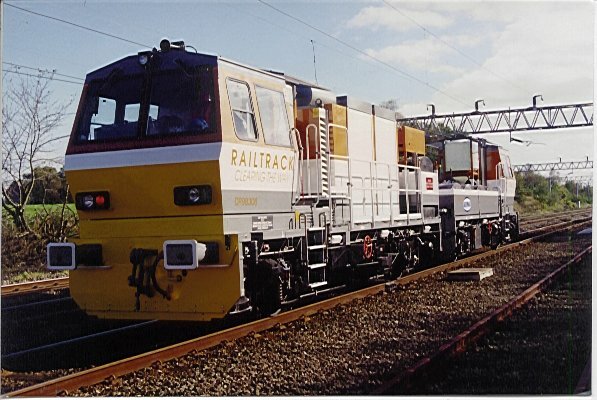 Here seen in their test period when new in 1999 one two. 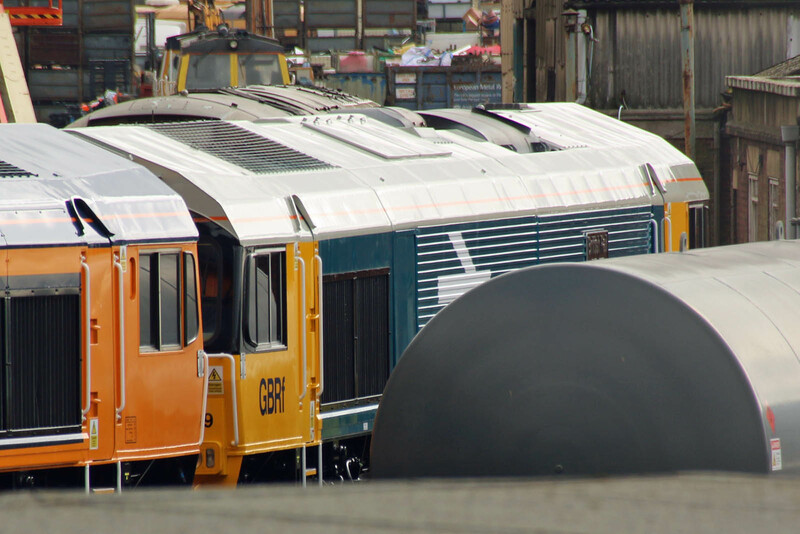 Later on arrival at Eastleigh in 2009 three four five from Old Oak Common. Later seen at the works in 2009 for the open day six and recently in the current location seven eight nine. 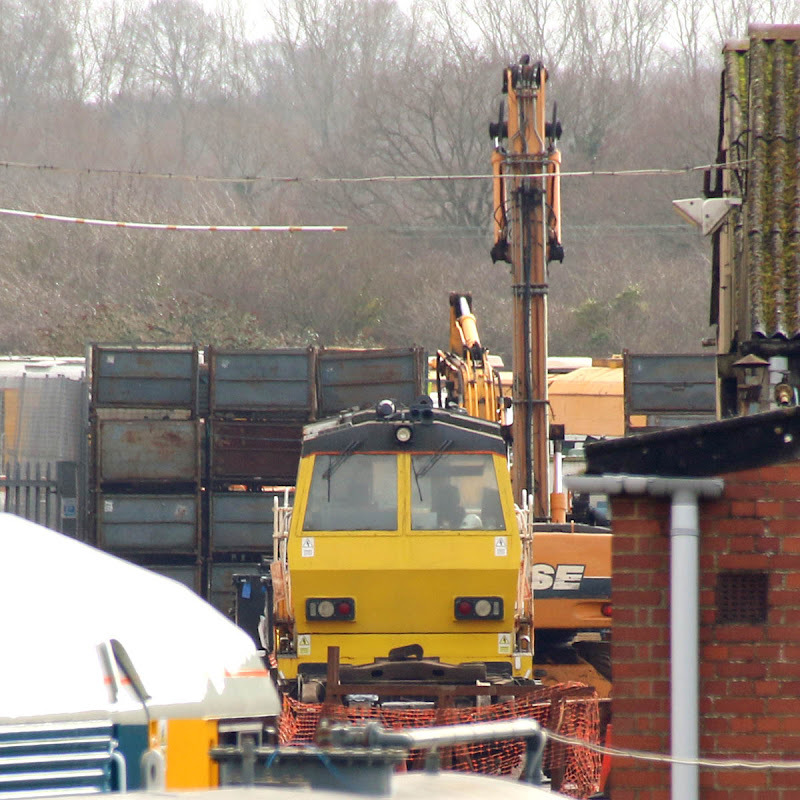 Disposal was notified by Network Rail in December. Update: Raxstar may be in a negotiation to sell this MPV. "Raxstar Ltd We have interest in buying it complete, we are always open to REASONABLE offers. Thanks"
Latest 47 news at End of the Line and The Class 47 List.